Magic carpets, sultans and wondrous mosques- Turkey is a country which is both enchanting and mysterious. Perched on the busy Brighton Road, Lezzet can be easily missed by the average traveller. Enter and you feel as if you've entered a Turkish den, dimly lit and bustling with activity. You can peer through the window into the kitchen where chefs are sliding decadent Turkish pizzas into the wood-fired oven. The environment is effortlessly romantic. Complimentary salted pumpkin seeds are a nice touch and addictive to nibble on whilst perusing the drinks and food menu. Innovative cocktails are simply hard to resist here and are priced at a decent $15.50. The two-page food menu makes choosing a slightly easier feat. The dip platter is a perfect start to the Turkish culinary adventure and includes 3 varying types of chunky home-made dips served with warmed toasty Turkish bread and marinated salty olives. The standout of the main on the menu is without a doubt the Anatolian lamb ($30.50). Who can resist this classic dish which has been slow-cooked passionately for 18 whole-hours? It is served in a dark, rich moorish date sauce and aldente pearl cous cous to give it a textural element. 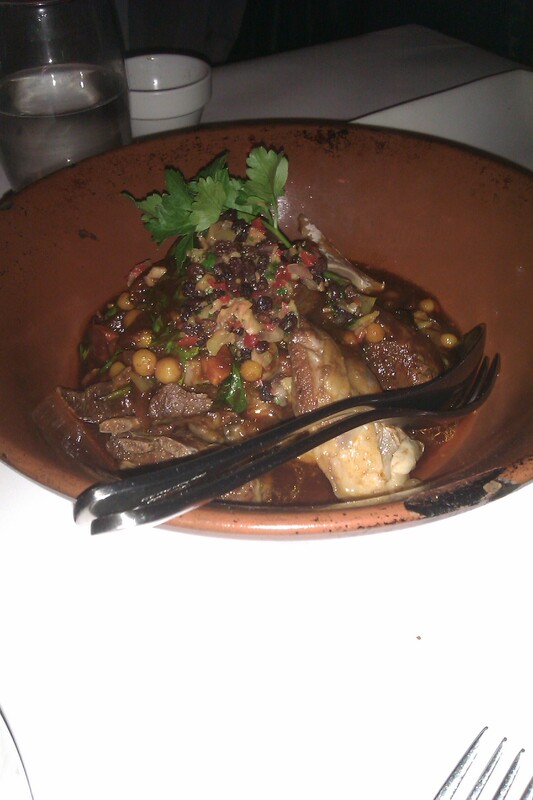 The lamb is cooked perfectly tender, falling apart at the ease of a touch of a fork. 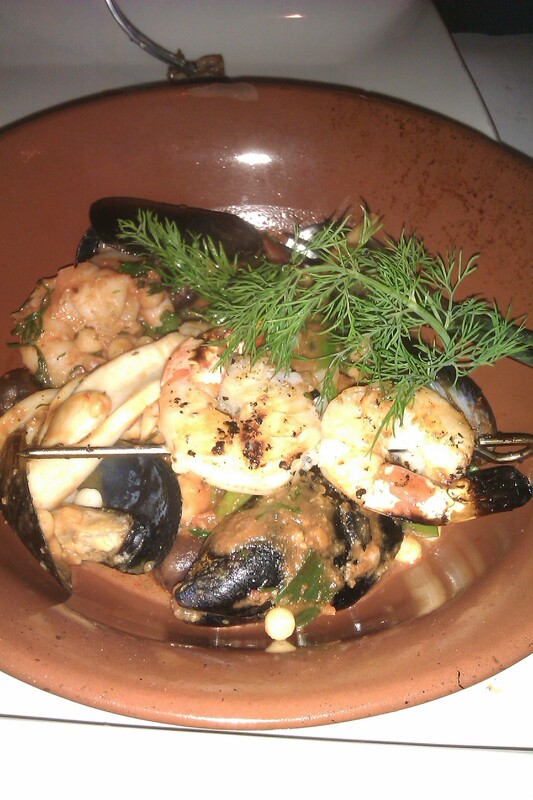 The Seafood claypot ($28.50) comes in a cute pot with a prawn skewer perched atop a generous mountain of perfectly poached fresh mussels, squid and scallops in a fresh tomato and olive sauce with more delicious pearl couscous. One simply cannot forego one of the Turkish gourmet wood-fired pizzas (all $22.50). I opted for the Traditional Turkish- a combination of beef mince with finely diced capsicum, tomato & onion, rocket on a thin base crust. The mince is seasoned well and overall the pizza is not too filling- the dough being the right crispy thickness. Desserts are a must here as they are creative with an exotic Turkish twist. The highlights include the Cappadocia ($14.50) which is a combination of pavlova, passionfruit, Persian fairy floss, lemon curd and kiwi, and the Turkish delight sundae ($14.50) - vanilla ice-cream with Turkish delight, crunchy pistachios and zingy berry sauce. Both are simply a visual delight and enough to melt hearts. If you love exotic food and new adventures but cannot afford to buy a plane ticket, a trip to Lezzet may be the perfect compromise. Be sure to bring your next date here- the dazzling environment is enough to make one lose sense of time and reality and for a moment believe that they really are in a romantic story during the Ottoman Empire. Why? 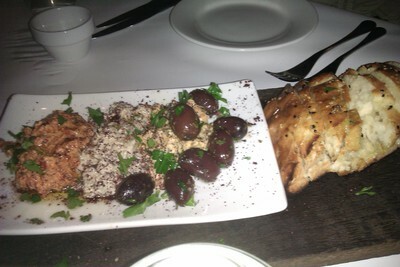 A romantic Turkish culinary adventure in the heart of Elwood.